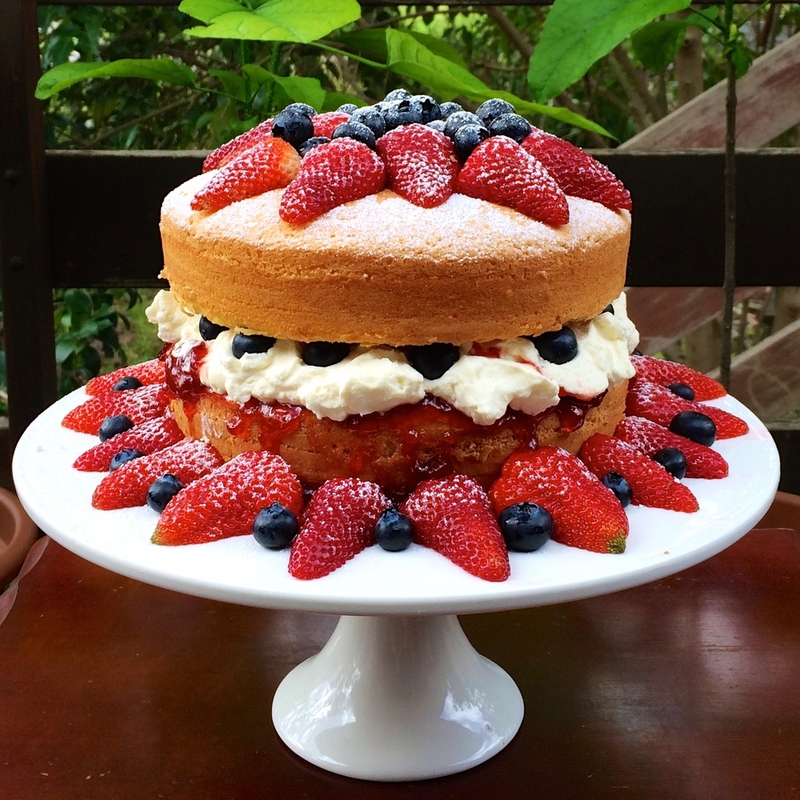 School Holidays have arrived in Melbourne so time to start baking. Today we made some delightful Chocolate Macarons, these are very sweet but very yummy. Preheat oven to 150 c or 130 c fan forced. Mix egg whites and cream of tatar until soft peaks form, slowly add the caster sugar and mix until disolved. Fold in the icing sugar mixture in three batches. Place mixture in a piping bag and pipe 3 cm circles on the baking paper, leaving 3 cm between each Macaron. While baking, melt the dark chocolate and cream in a saucepan or microwave until melted and blended, allow to stand at room temperature until you reach a spreadable consistency. Spread the chocolate on a macaroon and make a macaroon sandwich. 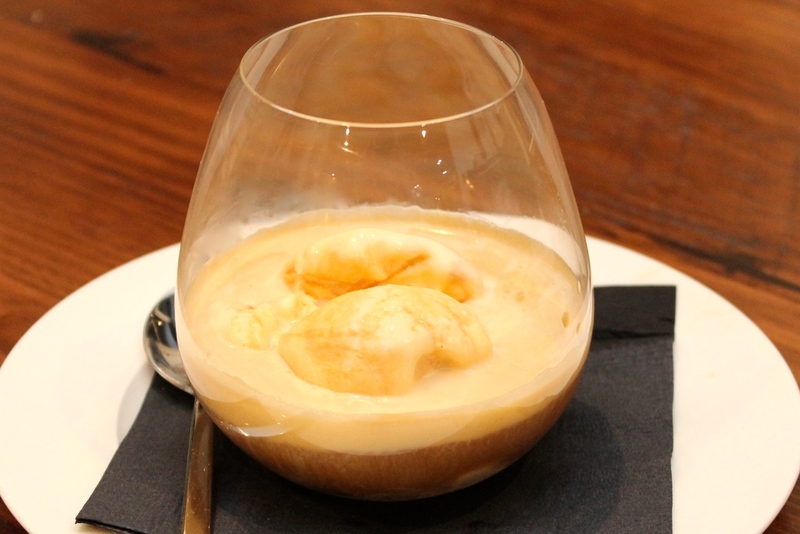 For a simple, yet elegantly presented dessert it is hard to go past a classic Italian Affogato. This simple dish can be prepared in less than 5 minutes, is absoluetly Devine. It could be a nice way to end a dinner party - or just a warming midweek treat. Place the ice-cream in a glass or bowl. Ever since I was a young child, Rum Balls were a key component of special events like Birthdays, Christmas and special Afternoon Tea's. I can clearly remember lot's of arguments with my sisters over the last remaining drops of Condensed Milk sitting at the bottom of the tin: Yum!. Keeping with tradition I now make Rum Balls on a regular basis as they are so easy and so yummy. The only puzzling element is why I have always called them Rum Balls, when they are in fact made with Sherry and not Rum!. Enjoy your Wicked Wednesday Chocolate (and Sherry) fix. Mix together the crushed biscuits, Condensed Milk, Melted Butter, Cocoa and Sherry. Roll mixture into balls and then roll in the coconut. For this weeks wicked Wednesday I've made some delightful Rose Scented Pink Meringues. The rose scent and subtle rose flavour is achieved with rose water, which you can find at Middle Eastern speciality shops and some supermarkets. These dainty treats can be served for a formal Afternoon Tea or birthday, a special treat for the children or add whipped cream and serve as a dessert. The addition of the rose water makes these meringues hard on the outside and soft and gooey on the inside, needless the say this batch has been consumed. Using two baking trays and baking paper, mark 14 7 cm circles. Separate the eggs, and beat the egg whites until soft peaks form. Gradually add the caster sugar and beat until dissolved. Add a very small amount of pink food colour and fold through - adjust the colour if required. Fold through the rose water. Spoon the mixture into the circles and slightly press down in the centre. Bake for 1 1/2 hours, turn off the oven and leave the meringues to cool down with the door slightly ajar..
Another Wednesday and another tempting chocolate dessert to help you get through the week. This is a very rich chocolate mousse that would make a great end to any dinner party or an indulgent treat for anytime you feel like a chocolate fix. This dessert only has only 4 ingredients and is very simple to make but also very delicious. Melt the chocolate in a heat proof bowl (I use a microwave on medium power in bursts of 30 seconds with a stir in between each 30 seconds). Add the softened butter and ensure everything is well combined. Add the caster sugar to the egg whites and mix until the sugar is disolved. Fold the egg whites into the chocolate mixture and mix to combine. Divide between 4 cocktail glasses and refrigerate until set. Remove from the fridge slightly prior to serving and bring to almost room temperature, garnish with raspberries and icing sugar.